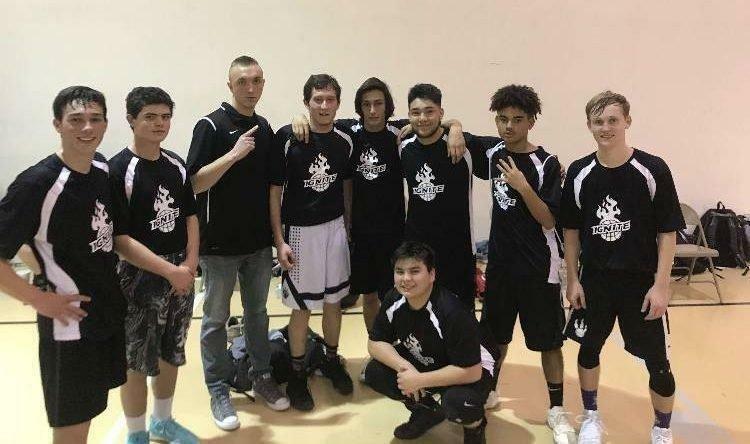 The AAU Ignite basketball team traveled to Salt Lake City to take on #3 Kongo on Tuesday evening. Ignite added a player, Jordan Ekker, while Brendan Palacios and Tyler Moynier returned to game play after sitting out for a handful of games. The team started off on a 24-9 run, taking the lead into the half, 32-21. Moynier notched 16 of Ignite’s 32 points in the first half. Ignite did not slow down and only allowed Kongo only 12 points after the break. The team took the first-round playoff game in the upset, beating Kongo 54-33. Moynier led the team with 25 points and four steals while Palacios had seven points and five rebounds. Newly-joined team member Ekker chipped in seven points in his debut game while leading the team in rebounds with seven. Jaxson Carlisle had seven points as well in the matchup. Oscar Herrera, Jordan Thomas, Jaylon Dennis and Jabari Griffin each chipped in two points apiece. Brayden Olson was next in rebounds with five and Jaydon Freeze added two assists and three rebounds. Taio Badback and Riley Mitcheson notched four rebounds each in the victory. Ignite will now travel to Churchhill Junior High on Tuesday, March 6. The game will tipoff at 6 p.m. where Ignite will take on Utah Triple Threat in the AAU North Region Playoffs. If Ignite wins the matchup, the team will advance to the championship that same evening at approximately 8 p.m. at Wasatch Junior High. The winner of the 6 p.m. matchup will face off against the winner of the D.C Dawgs and Viewmont Vikings matchup. Ignite’s current record sits at 7-4 overall.